Babies will adore playing peekaboo with this interactive board book. Join in on the fun with flaps that open to reveal illustrated pictures of babies and toys. The durable flaps are perfect for little hands to flip. Terrific for developing early memory and sensory skills. Includes special touch and feel flaps that babies wont be able to resist. Its the perfect book for your baby to play with over and over again. Ideal for children 1-18 months old. 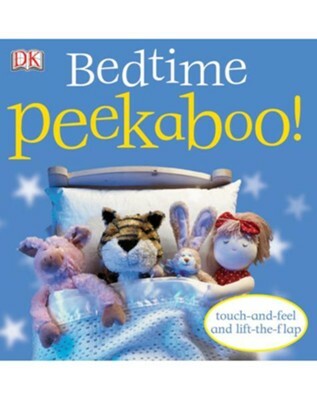 I'm the author/artist and I want to review Bedtime Peekaboo!.